This chapter of the discussion guide provides local and national contexts and perspectives, in-depth conversations to broaden the conversation, honors Black transgender women murdered in Cleveland, and includes thoughtful discussion questions. Here are resources you can use to engage with this chapter. 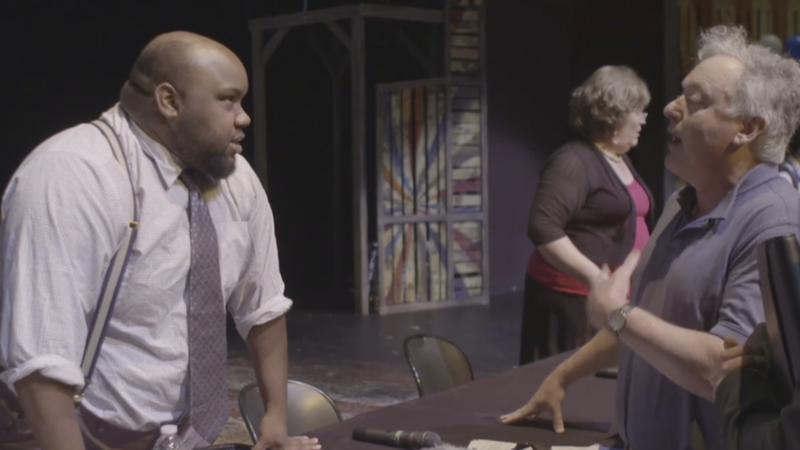 Out of the Margins explores how and why Cleveland is increasingly becoming an epicenter of organizing and why transgender leaders must be centered in the movement for racial justice. Pick up your copy of the discussion guide to learn more. Visit TransJustice, a political group created by and for Trans and Gender Non-conforming people of color. TransJustice works to mobilize its communities and allies into action on the pressing political issues they face, including gaining access to jobs, housing, and education; the need for Trans-sensitive healthcare, HIV-related services, and job-training programs; resisting police, government and anti-immigrant violence. Visit Transgender Law Center, the largest national trans-led organization advocating self-determination for all people. Grounded in legal expertise and committed to racial justice, TLC employs a variety of community-driven strategies to keep transgender and gender nonconforming people alive, thriving, and fighting for liberation. Visit GetEQUAL’s website, an American non-profit organization and advocacy group which advocates for LGBT social and political equality through confrontational but non-violent direct action. Visit TheAudreLordeProject, a Lesbian, Gay, Bisexual, Two Spirit, Trans and Gender Non Conforming People of Color center for community organizing, focusing on the New York City area. Visit the Marsha P. Johnson Institute, which creates a crucial entry point for Black trans women and gender non-conforming femmes to obtain the skills as well as financial and programmatic resources necessary in advocating for an end to violence against all trans people. Visit SylviaRiveraLawProject, a legal aid organization based in New York City at the Miss Major-Jay Toole Building for Social Justice that serves low-income or people of color who are transgender, intersex and/or gender non-conforming. 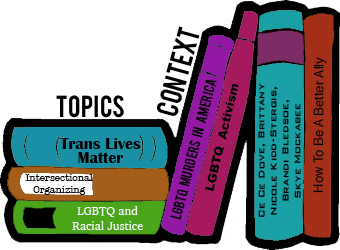 Read all about Trans Women of Color Collective (TWOCC), which uplifts the narratives, lived experiences, and leadership of trans and gender non-conforming people of color, their families and comrades as they build towards collective liberation for all oppressed people. Visit Black Trans Advocacy, a national social justice organization working to overcome violence and injustice in the world through the power, value, and love of all people. Visit the Trans Latina Coalition, which advocates for the specific needs of the Trans Latinx community located in the U.S.A. and plans strategies that improve quality of life for Trans Latinx people. Visit SNaP Coalition, a Black, Trans-led, Atlanta-based coalition working to build a Black, Queer, Trans, Feminist movement toward practical abolition.